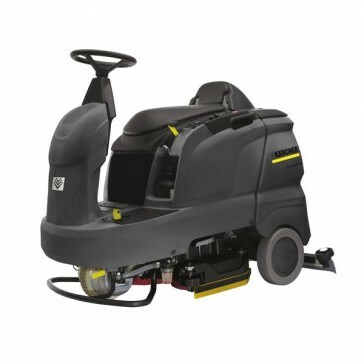 The B 90 R is available with a brush disc or roller head in 65cm width, or optional 75cm width. As well as four head options, the machine is available in three formats - the Classic model offering fixed settings for ease of use, the Advanced model featuring variable suction, brush speed and contact pressure, and the Advanced DOSE model featuring Kärcher’s DOSE detergent metering system. Basic functions are controlled via the EASY switch. For optional use of higher capacity batteries - for even longer use.